Field tested, failsafe and long life performance in extreme conditions. Weighing in at 30 lbs., the KSR119-8P provides a small package with big capabilities. 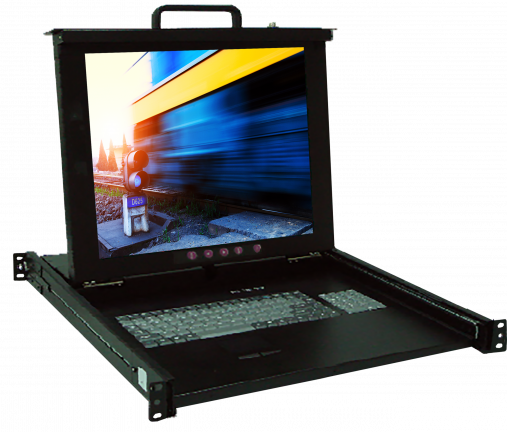 Unique folding design provides a 1U 19” LCD in a user centric attitude for ease of use in a compact and rugged package. • Heavy duty steel construction – 30.9 lbs. 30.9 lbs ( 14.02 kgs ) approx. ECCN: 4A994 Classification is dependent on configuration and is subject to change. Please contact your Program Manager to receive the classification for your product.